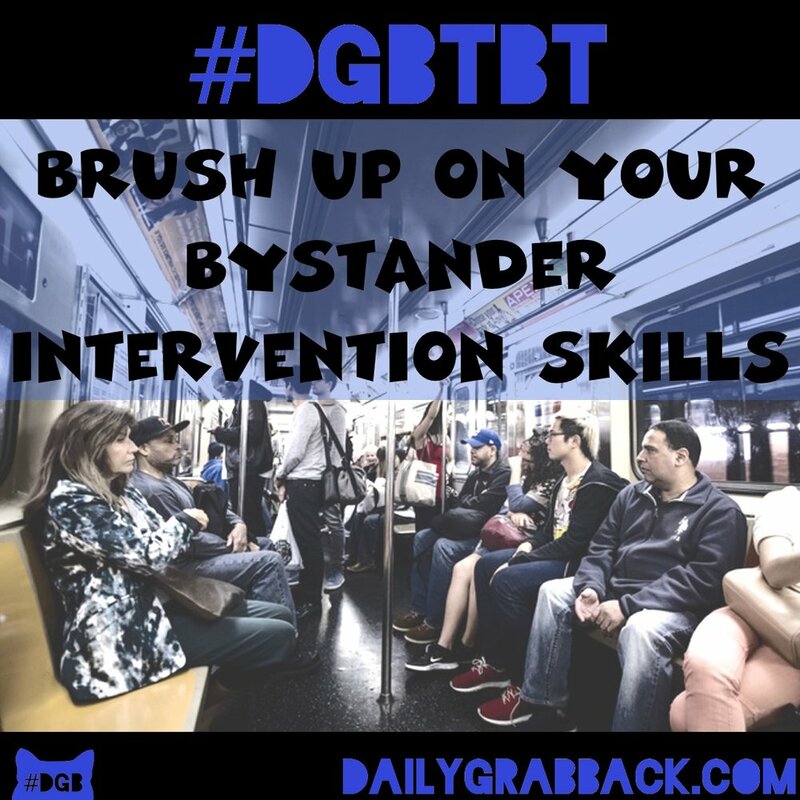 Your DGB for this Throwback Thursday is to brush up on your bystander training. Recent videos keep surfacing of racists being racist, so we need to make sure we know what to do if and when a situation like that arises. https://www.ihollaback.org/resources/bystander-resources/ offers bystander resources and focuses on the the five Ds: Direct, Distract, Delegate, Delay, and Document. You can also sign the pledge, support Hollaback, and become a HeartMobber, which is an online bystander interventionist. It’s not enough to just not be racist; we must actively fight racism in everyday situations by being active bystanders.